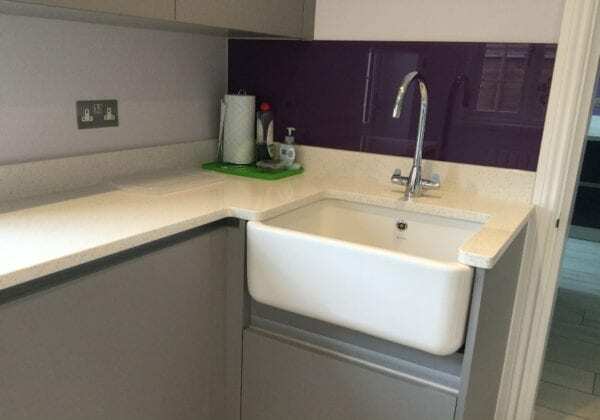 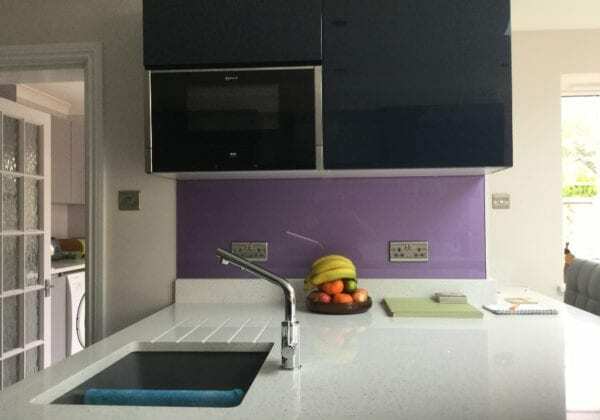 Dark units work supremely well with purple colours as shown here in these photos sent in by our customers Finola and Colin Bifield. 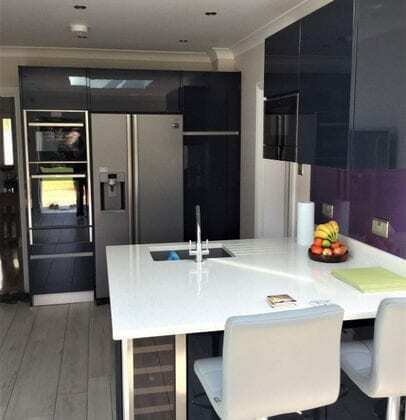 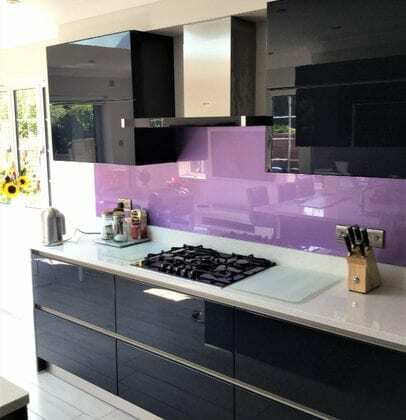 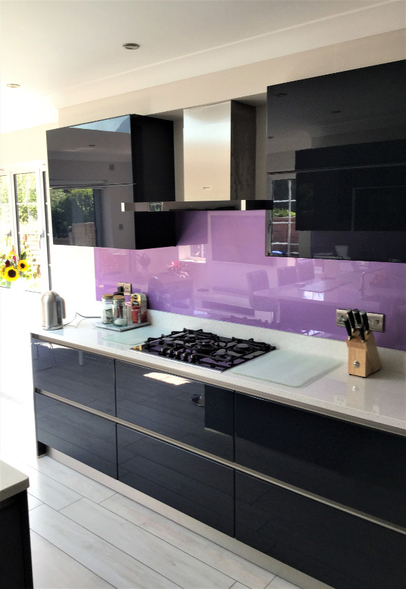 The units are Indigo blue high gloss lacquer finish from our Next 125 range with the customers own striking mid-tone purple glass splashback. 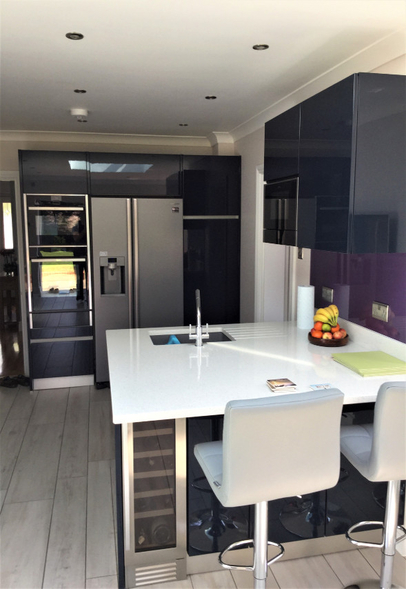 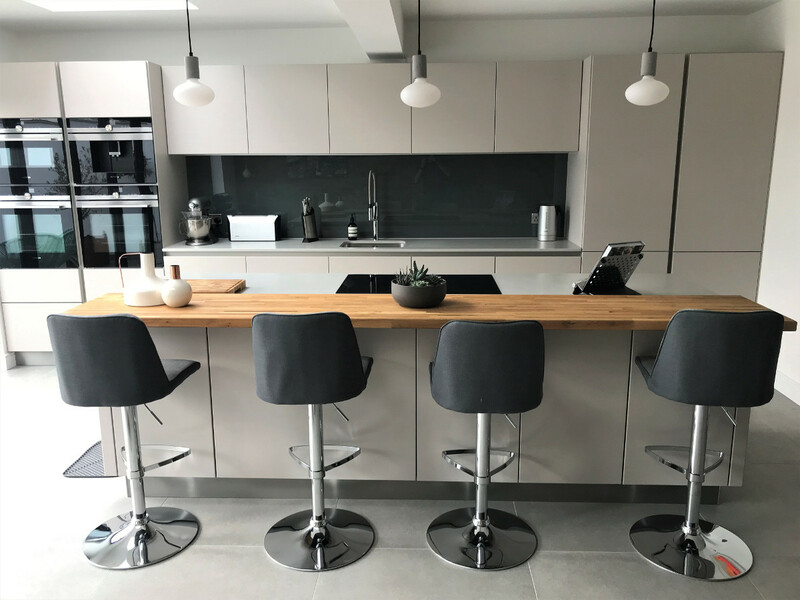 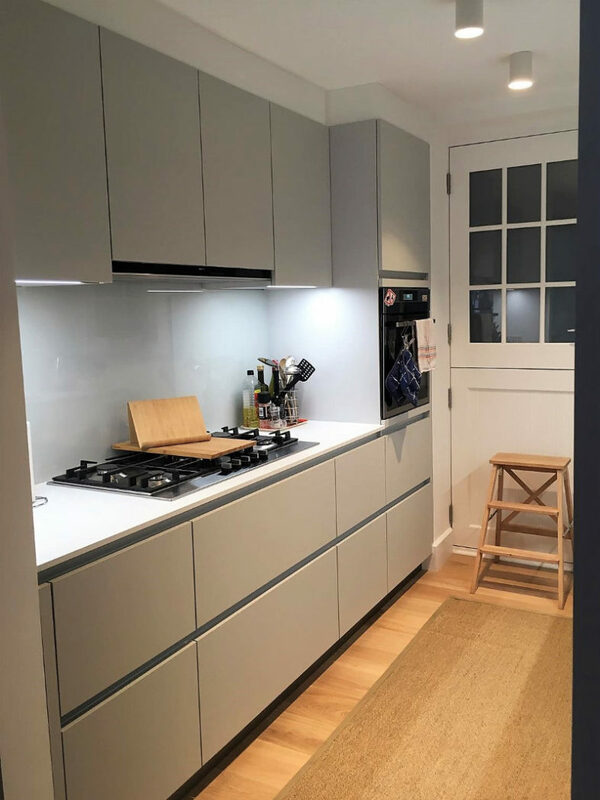 Get in touch for more information about our Next 125 range and to book an appointment with one of our kitchen designers.